Penn Station, the Worst Public Transit Experience in the US, Will Be Reborn—Amen! Finally, some good news for the 650,000 commuters forced to slither through the catacomb-like warrens of one of the worst train stations on the planet every single day. 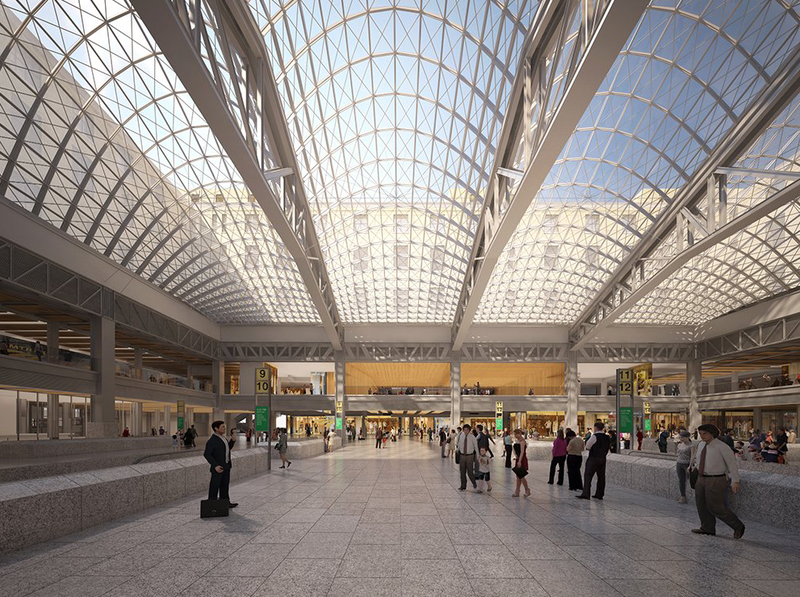 New York City’s Penn Station is getting a much-needed $3 billion makeover. As part of a comprehensive regional transportation plan that includes a new airport at LaGuardia (with a train! ), New York Governor Andrew Cuomo announced a big plan to reimagine one of the country’s busiest transit hubs as part of a bigger development called the Empire Station Complex. The development will transform a large post office next door into a ticket hall and concourse which will bring much-needed light, space, and additional services to the travel experience. Although there have been plenty of proposals for revamping the station over the years, the biggest problem is that the event arena Madison Square Garden sits on top of it. Using the Farley Post Office next door (an older idea, actually, that Cuomo’s revived) opens up so many more possibilities. Don’t worry, though, Penn Station will also get a facelift. From the governor’s renderings it looks like the goal is to restore at least some of the glorious architecture vibes from the original Penn Station, which was demolished in 1963. The dazzling arching skylights evoke the grand station in all the right ways, without feeling too throwback. There’s still a ways to go before we know exactly what to expect. As part of a public-private partnership, developers will have to bid on how they envision transforming the stinky low-slung tunnels into places more suited for LIRR riders than Pizza Rat. But as part of the surprisingly accelerated schedule, groundbreaking for the new station will supposedly happen this year. Check out the whole plan for Penn Station here.